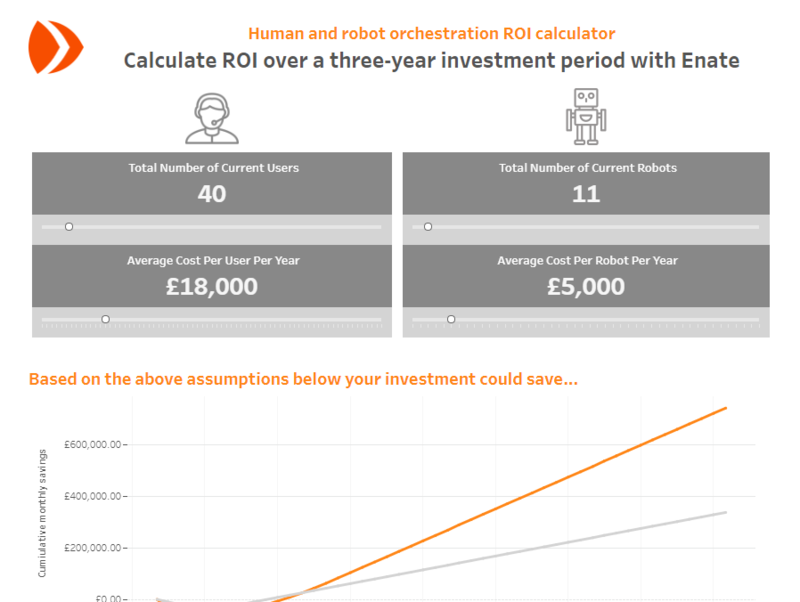 From infographics to interactive tools, browse our range of resources to learn more about Enate, build your business case and prove your return on investment. Read our blog for the latest industry commentary and expert advice. 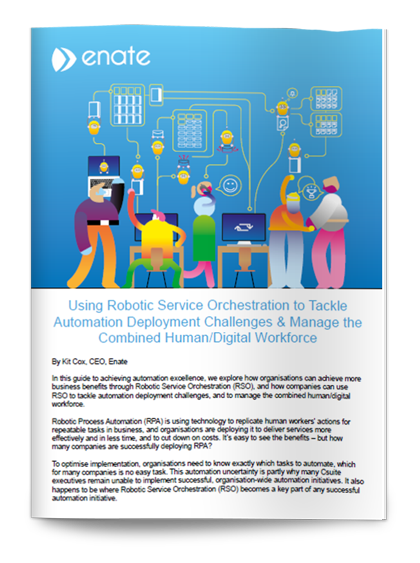 Expert advice: how to prepare your business for automation with Forrester's RQ. Read more. 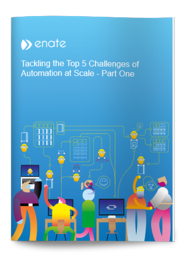 How to scale RPA to take on the world in 2019. Read more. 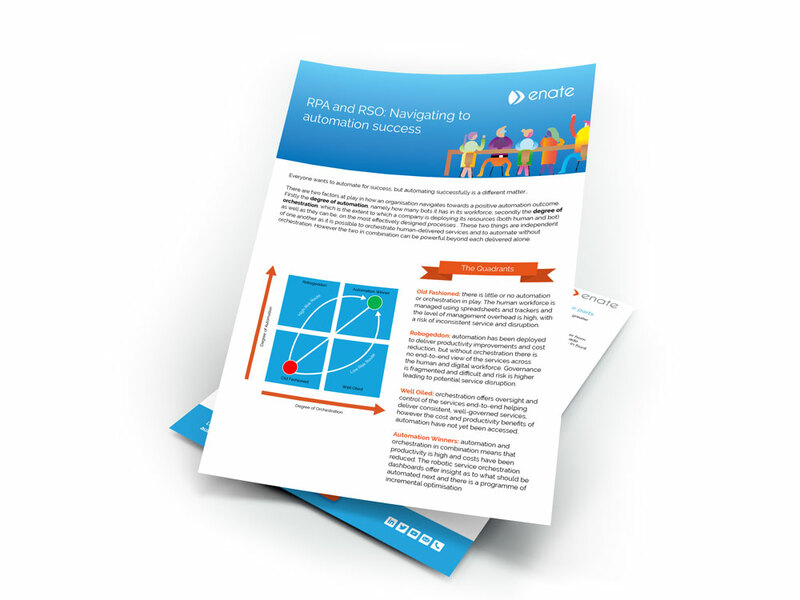 10 reasons why RSO is imperative to automation at scale. Read more. Read the latest press releases and media coverage. 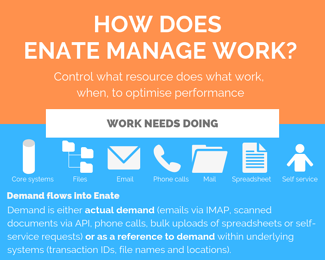 Ciphix and Enate partner. Read the press release. 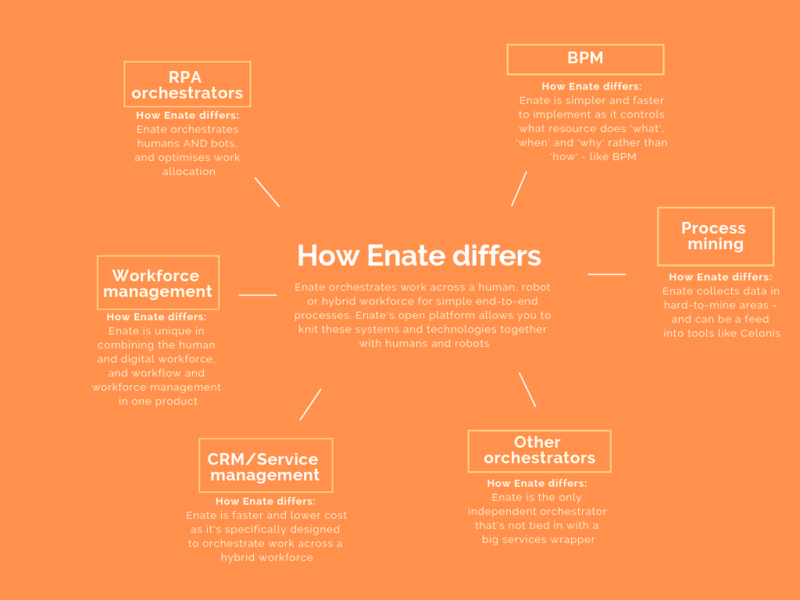 Enate and UiPath sign global reseller agreement. Read the press release. Enate partners with transformAI. Read the press release. Read our blogs where we share our knowledge, experiences and latest news. Check out all of our latest guides, reports and ebooks.